A vintage Thanks Giving Day Menu board. 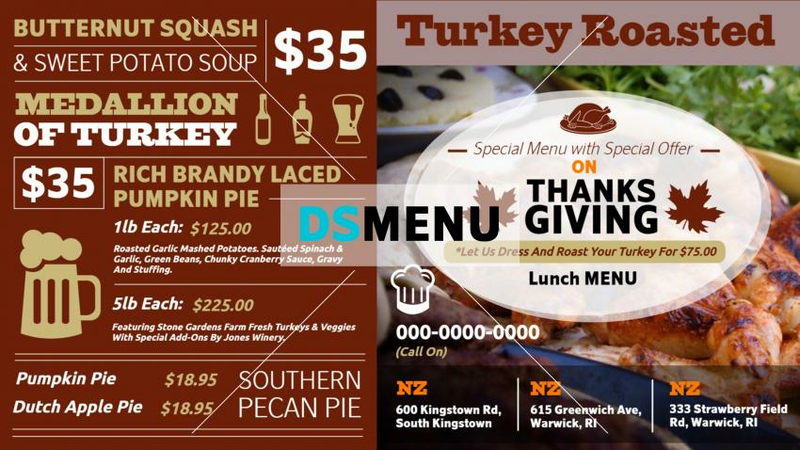 The template is divided into two parts one of which depicts the visuals of the menu, while the other half showcases the menu items content. The color combinations are immaculate. On a digital signage screen the menu board will have the desired impact on the target audience.